Allahabad , also known as Prayag and Ilahabad, is a city in the north Indian state of Uttar Pradesh and the administrative headquarters of the Allahabad District. As of 2011, Allahabad is the seventh most-populous city in the state, most populous district of the state, twelfth most populous district in India and thirty-sixth most-populous city in India, with an estimated population of 1.11 million in the city and 1.21 million in its metropolitan region. In 2011, it was ranked the worlds 130th fastest-growing city. The citys original name – Prayaga, or "place of offerings" – comes from its position at the union of the Ganges, Yamuna and mythical Sarasvati Rivers. It is the second-oldest city in India, and plays a central role in Hindu scriptures. Allahabad was originally called Kaushambi (now a separate district) by the Kuru rulers of Hastinapur, who developed it as their capital. Since then, Allahabad has been a political, cultural and administrative centre of the Doab region. The Mughal emperor Akbar renamed Prayag, Ilahabad, which the British changed to Allahabad. In 1833 it became the seat of the Ceded and Conquered Provinces region before its capital was moved to Agra in 1835. Allahabad became the capital of the North-Western Provinces in 1858, and was the capital of India for a day. Allahabad was the capital of the United Provinces from 1902 to 1920. Located in southern Uttar Pradesh, the citys metropolitan area covers 63.07 km2 (24.35 sq miles). 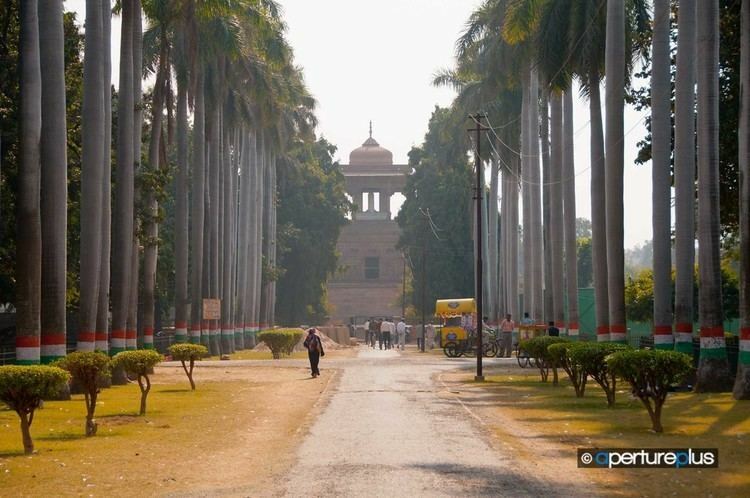 Although the city and its surrounding area are governed by several municipalities, a large portion of Allahabad District is governed by the Allahabad City Council. The city is home to colleges, research institutions and central and state government offices. Allahabad has hosted cultural and sporting events, including Kumbh Mela and the Indira Marathon. Although the citys economy was built on tourism, most of its income now derives from real estate and financial services. The city was earlier known as Prayaga, a name still commonly used. Prayaga existed during the Vedic period, and is mentioned in the Veda as the location where Brahma (the Hindu creator of the universe) attended a ritual sacrifice. Excavations have revealed Northern Black Polished Ware dating to 600–700 BCE. The Puranas record that Yayati left Prayag and conquered the region of Saptha Sindhu. His five sons (Yadu, Druhyu, Puru, Anu and Turvashu) founded the main tribes of the Rigveda. Lord Rama, the protagonist of the Ramayana, spent time at the Ashram of Sage Bharadwaj before travelling to nearby Chitrakoot. When the Aryans first settled in what they called the Aryavarta (or Madhyadesha), Prayag (then Kaushambi) was an important part of their territory. The Kurus, rulers of Hastinapur (near present day Delhi), established the town of Kaushambi near Prayag. They shifted their capital to Kaushambi when Hastinapur was destroyed by floods. The Doab region, which includes Allahabad, was controlled by a succession of empires and dynasties. The area became part of the Mauryan and Gupta Empires from the east and the Kushan Empire from the west before being governed by Kannauj during the 15th century. The city was the site of Maratha incursions before India was colonised. 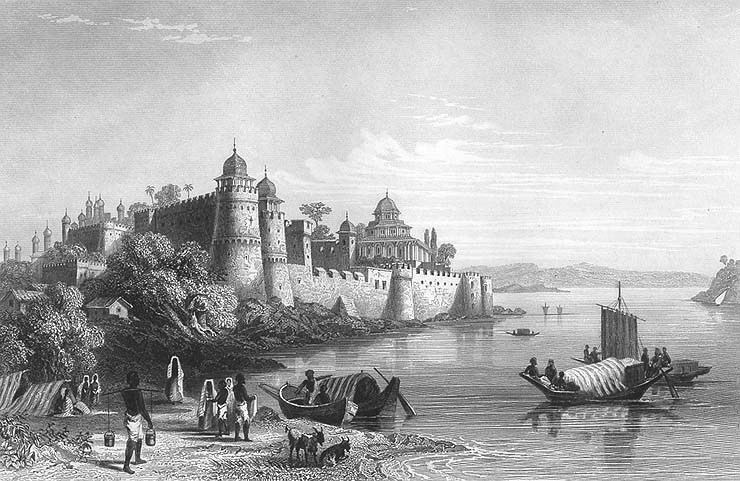 In 1765, the British established a garrison at Allahabad Fort. Prayag became a part of the Delhi Sultanate when it was annexed by Mohammad Ghori in 1193. Later, the Mughals took over from the slave rulers of Delhi and under them Prayag rose to prominence. Allahabad was a provincial capital in the Moghul Empire under the reign of Jahangir. Akbar built a fort on the banks of the sangam and renamed the settlement Ilahabad (Persian for "place of a god") in 1575. A unique artefact associated with Jahangirs reign found in Allahabad is a large jade terrapin, now in the British Museums collection. In 1765, forces of Mir Qasim, the Nawab of Bengal, Shuja-ud-Daula, the Nawab of Awadh and the Mughal emperor Shah Alam II lost the Battle of Buxar to the British; this was followed by the Treaty of Allahabad. Although the British did not yet establish direct rule, they saw Allahabads strategic position and established a garrison in Akbars fort. In 1801, the Nawab of Awadh ceded the city to the British East India Company. Gradually, the rest of the Doab and its adjoining western region in its west (including Delhi and Ajmer-Merwara) came under British rule. The northwestern area became a new presidency, the North Western Provinces of Agra, with its capital at Agra. Allahabad was an important part of the state. In 1834, the city became the governmental seat of Agra Province and a High Court was established; a year later, both were moved to Agra. Allahabad was a participant in the 1857 Indian Mutiny, when Maulvi Liaquat Ali unfurled the banner of revolt. 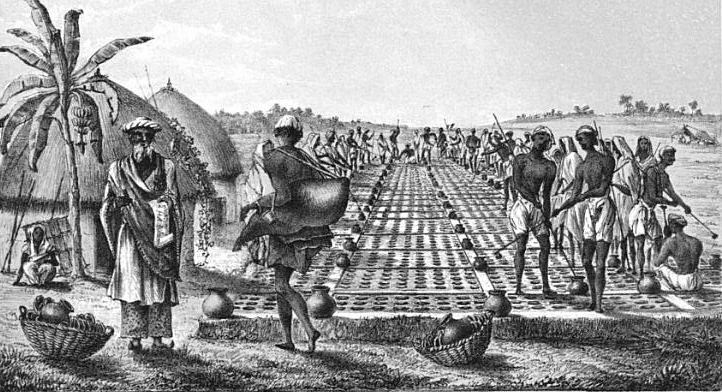 During the rebellion Allahabad, with a number of European troops, was the scene of a massacre. After the mutiny the British established a high court, a police headquarters and a public-service commission in Allahabad, making the city an administrative center. They truncated the Delhi region of the state, merging it with the Punjab and moving the capital of the North-Western Provinces to Allahabad (where it remained for 20 years). In January 1858, Earl Canning departed Calcutta for Allahabad. That year he read Queen Victorias proclamation, transferring control of India from the East India Company to the British Crown (beginning the British Raj), in Minto Park. In 1877 the provinces of Agra and Awadh were merged to form the United Provinces, with Allahabad its capital until 1920. The 1888 session of the Indian National Congress was held in the city, and by the turn of the 20th century Allahabad was a revolutionary centre. Nityanand Chatterji became a household name when he hurled a bomb at a European club. In Alfred Park in 1931, Chandrashekhar Azad died when surrounded by British police. The Nehru family homes, Anand Bhavan and Swaraj Bhavan, were centers of Indian National Congress activity. During the years before independence Allahabad was home to thousands of satyagrahis led by Purushottam Das Tandon, Bishambhar Nath Pande, Narayan Dutt Tiwari and others. The first seeds of the Pakistani nation were sown in Allahabad. On 29 December 1930, Allama Muhammad Iqbals presidential address to the All-India Muslim League proposed a separate Muslim state for the Muslim-majority regions of India. The old part of the city, at the south of Allahabad Junction Railway Station, consists of neighborhoods like Chowk, Johnstongunj, Dariyabad, Khuldabad and other more. In the north of the Railway Station, the new city consists of neighborhoods like Lukergunj, Civil Lines, Georgetown, Tagoretown, Ashok Nagar, Mumfordgunj etc., which are relatively new and were built during the British rule. Civil Lines is the central business district of the city and is famous for its urban setting, gridiron plan roads and high rise buildings. Built in 1857, it was the largest town-planning project carried out in India before the establishment of New Delhi. Allahabad has many buildings featuring Indo-Islamic and Indo-Saracenic architecture. Although several buildings from the colonial period have been declared "heritage structures", others are deteriorating. Famous landmarks of the city are Allahabad Museum, New Yamuna Bridge, Allahabad University, Triveni Sangam, All Saints Cathedral, Anand Bhavan, Alfred Park etc. The primary economic sectors of the district are tourism, fishing and agriculture, and the city is a hub for Indias agricultural industry. In case of Agriculture crops Paddy has the largest share followed by Bajra, Arhar, Urd & Moong in declining order during the Kharif season. In Rabi, Wheat is pre dominant followed by pulses and oilseed. Among oilseed crops, Mustard has very less area under pure farming and is grown mainly as a mixed crop. Linseed dominates the oilseed scenario of the district and is mainly grown in Jamunapar area. In case of pulses gram has largest area followed by pea and lentil (masoor). There is fairly good acreage under barley. During the 19th and 20th centuries, Hindi literature was modernised by authors such as Mahadevi Varma, Sumitranandan Pant, Suryakant Tripathi Nirala and Harivansh Rai Bachchan. A noted poet was Raghupati Sahay, better known as Firaq Gorakhpuri. Gorakhpuri and Varma have received Jnanpith Awards. Allahabad is a publication centre for Hindi literature, including the Lok Bharti, Rajkamal and Neelabh. Persian and Urdu literature are also studied in the city. Akbar Allahabadi is a noted modern Urdu poet, and Nooh Narwi, Tegh Allahabadi, Shabnam Naqvi and Rashid Allahabadi hail from Allahabad. English author and 1907 Nobel laureate Rudyard Kipling was an assistant editor and overseas correspondent for The Pioneer. Although Hindu women have traditionally worn saris, the shalwar kameez and Western attire is gaining acceptance among younger women. Western dress is worn more by men, although the dhoti and kurta are seen during festivals. The formal male sherwani is often worn with chooridar on festive occasions. Diwali (celebrated as a festival of light between mid-October and mid-December) and Rama Navami (when decorations light the banks of the Ganges and Yamuna) are the two most popular festivals in Allahabad. Allahabad is noted for historic, cultural and religious tourism. Historic sites include Alfred Park, the Victoria and Thornhill Mayne Memorials, Minto Park, Allahabad Fort, the Ashoka Pillar and Khusro Bagh. Religious attractions include the Kumbh Mela, the Triveni Sangam (sacred in Shaktism) and All Saints Cathedral. The city hosts the Maha Kumbh Mela, the largest religious gathering in the world, every twelve years and the Ardh (half) Kumbh Mela every six years. Cultural attractions include the Allahabad Museum, the Jawahar Planetarium and the University of Allahabad.